Community and Teacher’s Professional Development. 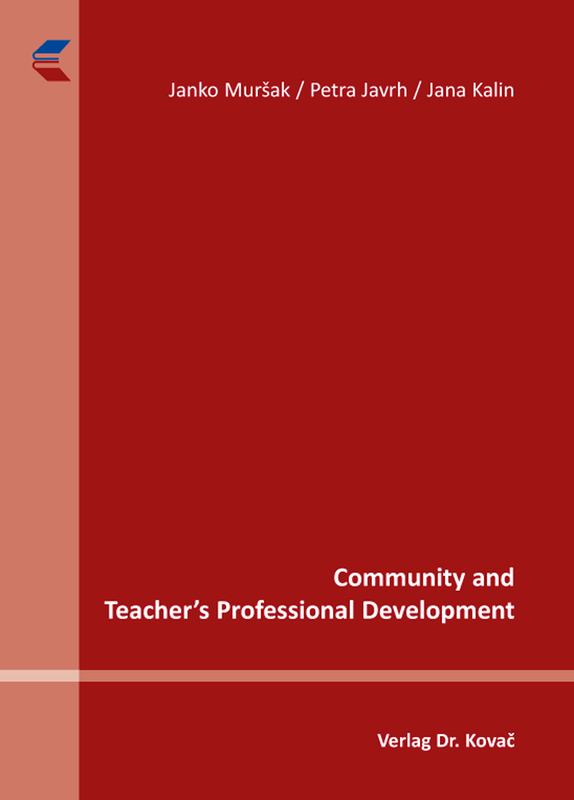 Forschungsarbeit von Janko Muršak / Petra Javrh / Jana Kalin, Verlag Dr. Kovač 2015, 196 S.
This publication deals with the various aspects of relations between community and teachers’ professional development. First part is analysing the teachers’ profession. In modern community, teachers represent a strong professional group characterised by well defined professional rules. Professional community as well as local schools are key determinants in the process of teacher’s professional identity formation. Analysis of teacher’s professional socialisation indicates a stable process due to well organized basic and further teacher’s training which remains the central pillar of their professional development. This is being confirmed by the qualitative empirical analysis presented in the last chapter. The roles of school and teachers are becoming more demanding and complex due to new knowledge and the need to develop new skills, more critical thinking and creativity. In addition there is an encouragement to cooperate with others while taking into consideration also the individual idiosyncrasies in order to enable optimal development of each individual student. Second part elaborates teachers’ professional development which is marked by the individual characteristics and capacities, by the characteristics of the institution in which teacher works and by the possibilities for cooperating, and learning with colleagues in the professional community. We have searched for the levers, which encourage and support the individual’s professional development to the largest possible extent. Special attention is paid to the possibilities of peer learning and the mentoring. Good quality teacher’s training guarantees high quality professional development and a more desired professional path. The process of acquiring adequate competencies, however, does not take into consideration teachers’ personal needs, their views on teaching and neither their feelings of belonging to a profession. In the third part we are presenting an analysis of data gathered from teachers with different years of experience, decision makers and established researchers in the field of education in Slovenia. The basic education of teachers should encourage the development of wider competencies and it should balance well between the theory and practice. The state professional exams for teachers should include more teaching related contents. The basic education of teachers who enter the profession of a teacher from other professions has to take into consideration diversity of participants to adequately develop their present experiences. The system of further professional training should assure programs for teachers, which would provide monitoring and support as well as enable teachers to deepen their specific knowledge. The pedagogic role of headmaster could be strengthened with adequate training for the pedagogical leadership.